Panama City is a city and the county seat of Bay County, Florida, United States. Located along U.S. Route 98, it is the largest city between Tallahassee and Pensacola. It is the more populated of two principal cities of the Panama City-Lynn Haven, Florida Metropolitan Statistical Area. As of the 2010 census, the city population was 36,484. 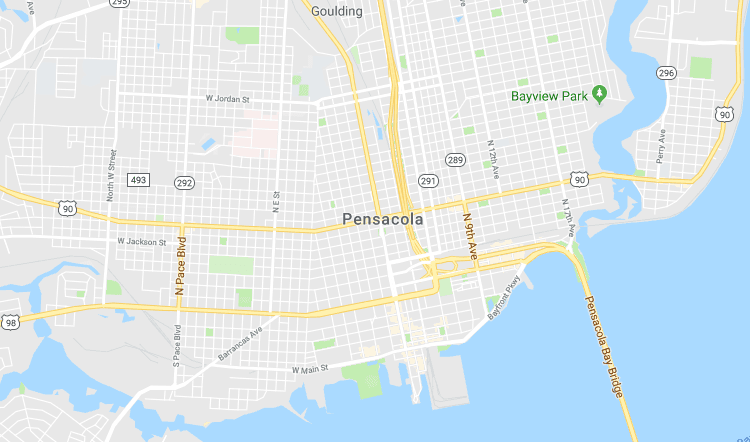 Panama City is located at 30°10′28″N 85°39′52″W (30.174451, -85.664480) within the Florida Panhandle and along the Emerald Coast. According to the United States Census Bureau, the city limits encompass an area of 35.4 square miles (91.8 km²), of which 29.3 square miles (75.8 km²) is land and 6.2 square miles (16.0 km²), or 17.39%, is water. As of the census of 2010, there were 36,484 people, 14,792 households, and 8,613 families residing in the city. The population density was 1,245.2 people per square mile (481.3/km²). There were 17,438 housing units at an average density of 595.2 per square mile (230.1/km²). As of the census of 2010, the racial makeup of the city is 71.6% White, 22.0% African American, 1.6% Asian, 0.5% Native American, 0.1% Pacific Islander, 2.9% from two or more races, and 5.1% Hispanic or Latino of any race.